Wikipedia is a fantastic source of information and one of the world's most popular websites; but let's be honest, it's design hasn't really kept up with the times. The interface is an inconvenience at the best of times, and its just downright ugly. This is something that Lithuanian creative agency New! has attempted to fix, with a complete design overhaul titled "Wikipedia Redefined." Think of it as a blend of Vimeo's multi-coloured top bar with the simplistic product convergence of convergence, while maintaining slight connotations to the Wikipedia of old. 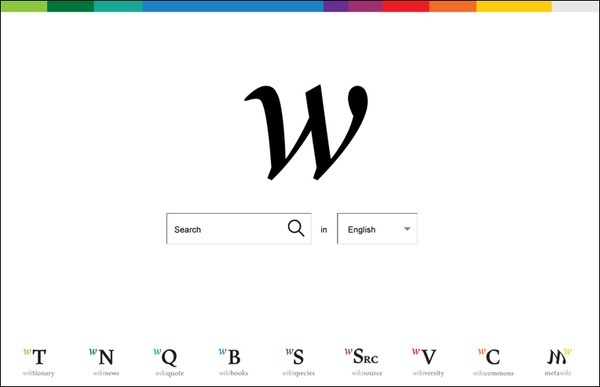 They have reinvented the logo, individual pages and language portals, while paying attention to the interaction and navigation of Wikipedia. What results is a minimal affair that keeps the key functionality as the central attention. Personally I'm impressed; but what do you think?